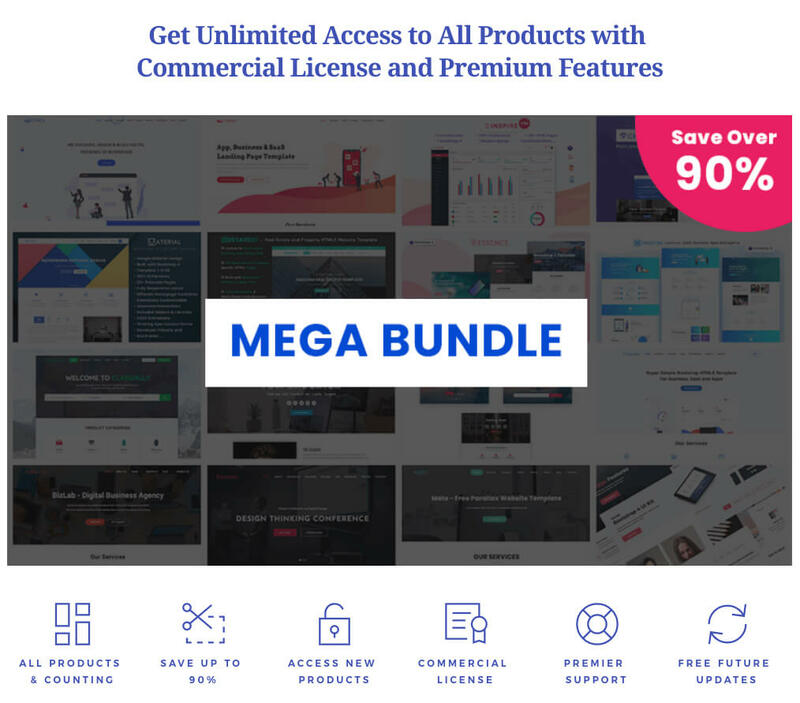 Fusion is High-quality Free and Premium App, Business, SaaS & Product Landing Page Template, equipped with the latest version of Bootstrap 4. Not only Fusion eases creating your landing page, but it also comes with modern & trendy design and all essential UI elements. The responsive layout of Fusion fits perfectly on all major screen-sizes. If you want to create or improve online presence and rebuild landing for product, businesses or apps, Fusion is great choice for you. The customization ability and user experience of this particular template have been crafted carefully to give the developer more liberty to optimize their websites. Also, Fusion is multipurpose template which provides an accurate UI/UX experience to give any website more attractive look. Fusion is the modern and technologically sound landing page template that gives any app, webapp , software, and business websites a whole new perspective. The diverse feature list of Fusion allows the gate of experimentation to a wide range. 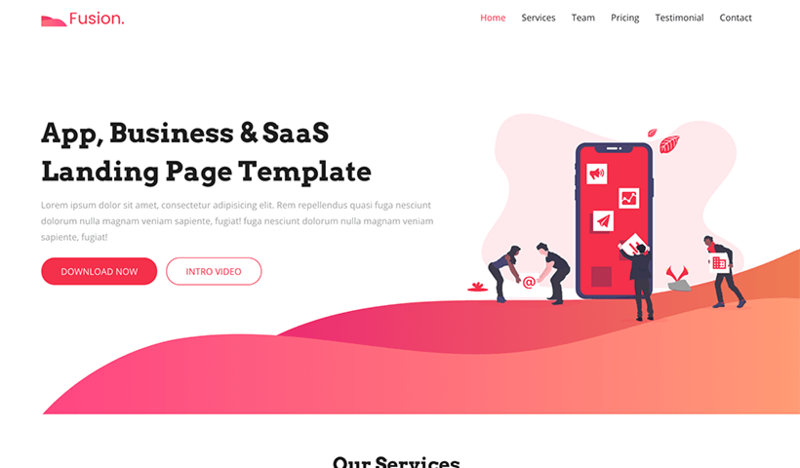 This landing page template is based on the latest version of Bootstrap 4 which gives it the right flexibility for any kind of software or WebApp landing purpose. Also, with the help of Bootstrap, the developer has the freedom to experiment more with the structural issue of a website as well. The inclusion of the cutting edge technologies is another reason to prefer this landing page template. HTML5, CSS3 and SASS are some few highlights among different useful libraries and addons that have been included in it. The fully responsive layout of Fusion is just another cherry on the top of everything. The modern and multipurpose quality of Fusion make it best suited for corporate landing page template that has complicated structural issues. Also, it is perfectly compatible with every device and every other browser to leave you completely worry-free. The amazing UI experience of Fusion is another feather in its cap of features. The complication free user experience is important for any landing page. Also, the option of customization is another attraction for developers to moderate any landing page of a website according to their own wishes. Fusion supports all modern browsers such as FireFox, Chrome, Safari etc. © 2019 UIdeck, all rights reserved.